I’m scared of the reader of the distant future. I’m not so arrogant to think that I’ll have a reader in the distant future. After all, getting read in the present is hard enough. Still, if just out principle, I aspire to be in the good graces of tomorrow’s readers, as I live far more in fear of being called "backwards" by the future reader than "crazy" by the modern. It’s a reasonable fear. There are countless examples of slaveholders, racists, anti-suffragists, and others who, to our modern eyes, seem like intellectual dunces for being so terribly, terribly wrong. How could they not see that owning another person might someday seem universally wrong and morally stupid? 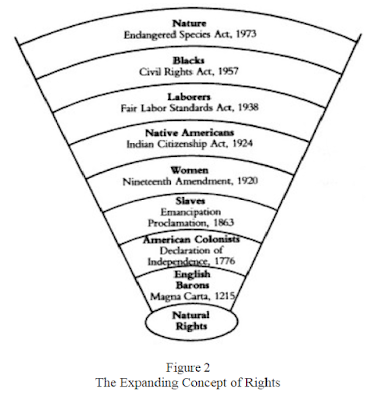 We can't hand out immoral dunce caps just to the ignorant and dimwitted, because even the brightest of minds are limited by the narrowed thinking of their eras. John Muir, despite being broadminded enough to sympathize with even the most loathed animals, still said some inconsiderate things about Native Americans. Walt Whitman, despite his fondness for all things natural and human, had some expansionist rhetoric that rubs modern readers the wrong way. George Washington, despite risking his life to liberate the colonies of British tyranny, couldn’t properly condemn American slavery. In the eyes of posterity, few of the greats have departed from the world without a serious blemish on their moral resumes. With them in mind, it might be helpful to ask ourselves if we might be clinging onto beliefs that will someday be considered backwards. Being ahead of one’s time is not impossible. John Stuart Mill, in 1869, was among the first men to call for gender equality. (This was after many women advocated for suffrage, it should be said.) Henry David Thoreau, in the mid-nineteenth century, was in many ways ahead of his time. Thoreau was sympathetic to the plight of Native Americans, accommodating to runaway slaves, outspoken about environmental degradation, and prescient in forecasting the demise of America’s open roaming culture. Aldo Leopold, in the mid-twentieth century, saw that the arc of justice doesn’t just bend toward humankind, but toward animals and ecosystems, too. We can learn a thing or two about how to see into the future from these philosopher-prophets. I think all it takes is kindness. Kindness of the expansive and openhearted sort. Kindness and consideration for all of life, human and nonhuman. When we look at the world with kindness, it's easy to see injustice and suffering. And when we can see injustice and suffering, we can see into the past and future, because what made one person suffer a thousand years ago will probably make another person suffer a thousand years into the future. Slavery, subjugation, inequality, deprivation—they make us suffer no matter our class, country, or century. We’d feel these indignities just as terribly as a galley slave in Rome as we would a mining slave on the moon. 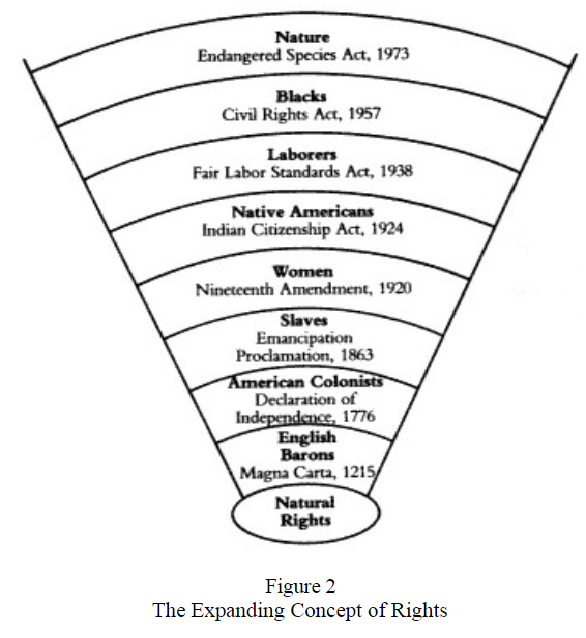 If the arc of the moral universe does indeed bend toward justice, then it’s safe to predict that rights will eventually be given to those who are, and that which is, currently suffering. This is how we can see into the future. Roderick Nash, in The Rights of Nature, documents the many ways in which the arc of the moral universe has been bent in the last thousand years. 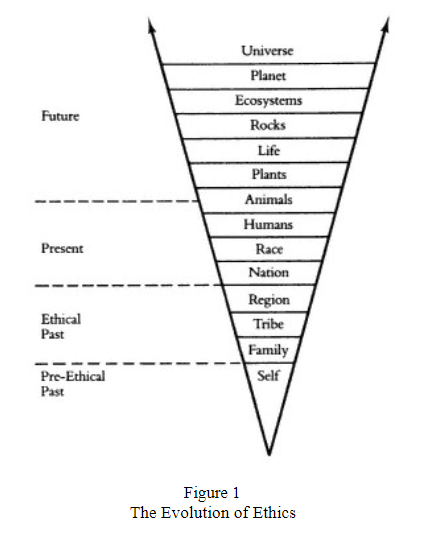 Nash suggests that we can anticipate our ethics to expand to welcome other life forms, even lifeless forms, like rocks. While there’s still much work to be done, we can see, in the past 150 years, amazing progress made in expanding the rights of other races, women, the LGBTQ community, and animals. What’s next? The climate? Life itself? 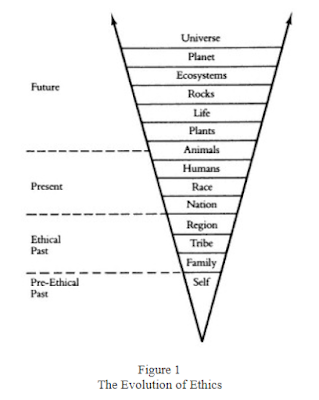 Ecosystems? Here are a few (plausible) reforms I'd like to see come into force during my lifetime. We will no longer be okay with letting creatures live and die by the billions in factory farms. The concept of the nation-state erodes to some extent. Our embrace of humanity widens to more fully accept those currently regarded as foreigners. Rivers, wildlife corridors, and landscape-scale ecosystems earn legal standing as humans (or some equivalent status that provides them their due protection). What are your ethical predictions? I don't think any of the above are a stretch. On all of these topics, books have been written, films have been made, and research has been done that have expanded our knowledge, pricked our consciences, and infiltrated our collective consciousness. If we can predict the things that deserve protection, then maybe, for those of us who consider ourselves writers, we won't be doomed to be remembered as a laughingstock or an absurdity to future readers. We could be more respected, more oracular, more Thoreauvian. To the future reader of my work (specifically This Land Is Our Land), if I’m lucky to have one, I’d like to say that I’ve tried to be open minded and forward thinking. Yet I’m sure that I am blind to things that will be self-evident to the people of the future. I’m sure I’ve goofed up. I’m sure I’ve been insensitive. I am, as we all are, constrained by milieus. 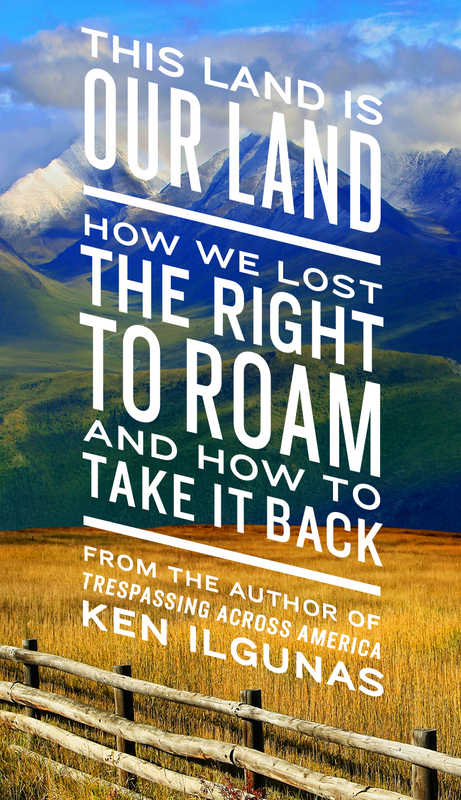 I titled my last book This Land Is Our Land because I thought it had a bold and progressive ring to it. The title insinuates that land is too special to be despotically possessed by just one person. It insinuates that we all hold the earth in common. Bold and progressive? Maybe in 2018. Yet I wonder if my more sophisticated reader of the future will find something offensive about it. Maybe the idea of people owning land will someday carry the same stigma that people owning people does with us. 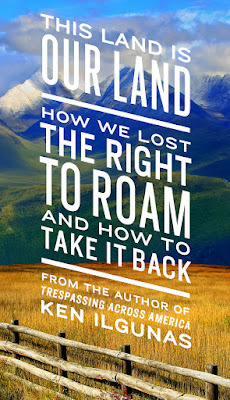 Maybe I should have titled my book This Land Is Not Our Land or The Land Owns Us. Maybe Woody Guthrie’s lyrics about how this land is “my land” and “your land” will one day seem hopelessly backward. After picking my cover and title, I watched a YouTube video where Native Americans booed Guthrie's song. I understood why they booed and sympathized, and their boos made me wonder if I'd chosen well. Accidents happen. While I've tried to write all of my books with sensitivity and a kind heart, I already regret a few ignorant passages in Trespassing across America. I wrote that book just a couple of years ago. How insensitive will I look in 300 years? Let those boos and this regret be a reminder for me to more carefully write with the sophisticated reader of the future in mind. Writing with a healthy fear of future readers and with an expansive kindness for the universe may be a good way to keep ourselves from saying things we'd later regret. It might be a good way to be one step ahead of our evolving morality. But this is about more than just how we'll simply look. I'd like to argue that for the sake of our prosperity, for the sake of our collective conscience, for the sake of the health of the earth, we owe it to ourselves, to future generations, and to all existing life, to treat the universe with an expansive and revolutionary kindness.